bowdywanders.com: Picodi Singapore: Free Travel Discounts For You, Thank You! Picodi Singapore: Free Travel Discounts For You, Thank You! Saving money online and in-store: glorious words of hope for us mere 9-5 day-job mortals. 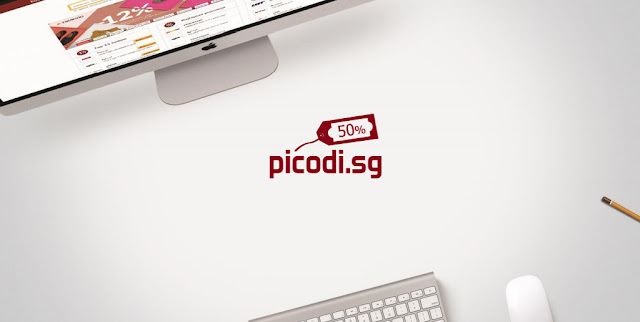 And thanks to another start-up online presence, the Picodi.sg is making our lives easier when it comes to buying stuff online! Thank you start-up universe for leading me in yet another great road of connecting with new folks who are more than willing to collaborate and share great information about stuffs. And yes, thanks to my friend from Krakow, Poland for reaching out and giving in some really good information about this. And yes, a shout-out also, Poland stuff posts will be posted pretty soon, so watch out for that! Back to Picodi - the Picodi is no stranger to the online discount space. They collect the latest money-off working promotional codes, discount codes, coupons and vouchers. They have over 6 million users and at least around 350,000 subscribers. They work with more than 4000 satisfied retailers and online stores. Retailers like Air Asia, Jetstar, Hotels.com, Expedia, and even Amazon.com. It’s the easiest way to save money online, by using their promo codes every time you make a purchase in your any of the Singapore's online shops or travel services. Especially travel services, yes. You know what’s the absolute best part of it all? The service offered by Picodi.sg is completely free and anyone can use it. Picodi.sg does not sell goods or services listed on it. Score! I’d like to think that I’ve grown to be quite good when it comes to finding decent and bargain-basement stuffs online... but now, I think I’ll be better because of sites such as this. It’s elementary-easy to use, and very wide-ranging with its choices. I’d recommend it to all those 9-5ers who are constantly on the lookout for some good money-saving nicks.